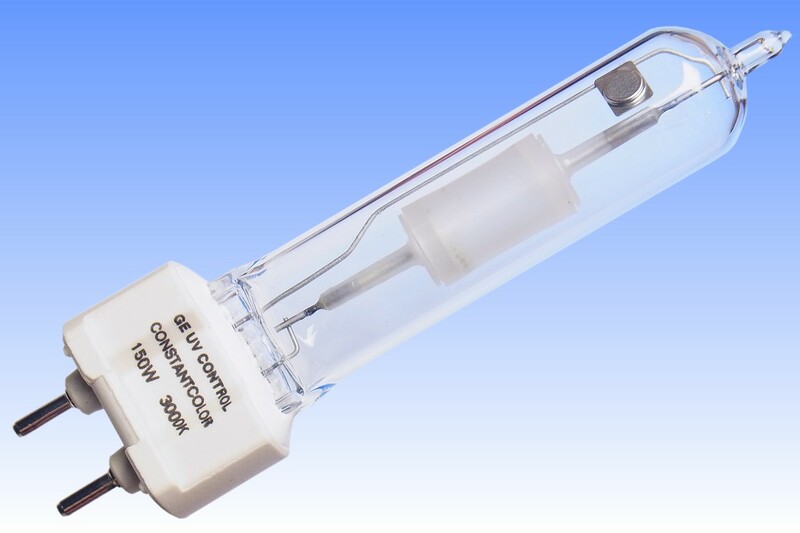 The first GE CMH lamps of 1997 were essentially a copy of the original Philips CDM lamps of 1994 - with a small improvement to increase arc tube strength. Thereafter GE began investigating ways to overtake Philips, with superior performance and reduced cost. One of the most labour intensive steps of producing the original lamps was the assembly of five cylindrical ceramic parts for the arc tube body. Moreover these sometimes failed due to cracking at one of the four ceramic-to-ceramic seals. GE aimed to improve reliability by halving the quantity of seals, and reduce cost by shifting from a 5-part to a 3-part design. During the 1990s there was no commercially viable technology to produce the complex shaped parts for a 3-part arc tube. 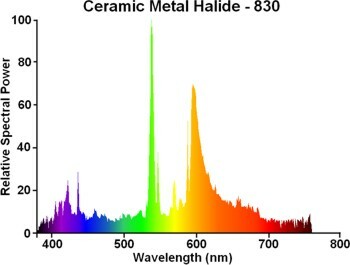 This technological breakthrough was achieved between GE's Lucalox Ceramics factory at Willougby, OH (USA), the former Thorn Stellox Ceramics plant at Leicester (UK), and Brunel University. Previously, alumina arc tubes had only been produced by extrusion, isostatic pressing, or a combination of pressing plus blow moulding. 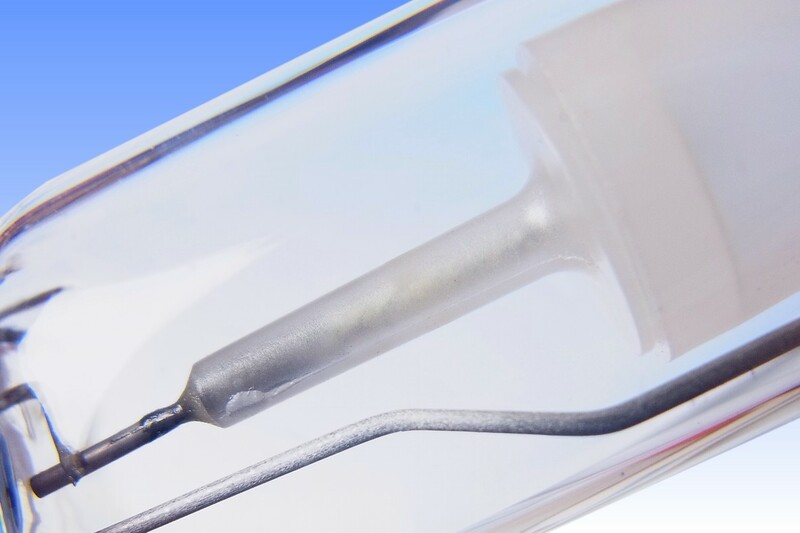 GE was first to master the new technique of injection moulding to develop its so-called IMP's - Injection Moulded Plugs. These form the protruding capillary seals of the arc tube, plus the cylindrical discs that close the ends of the arc tube chamber. 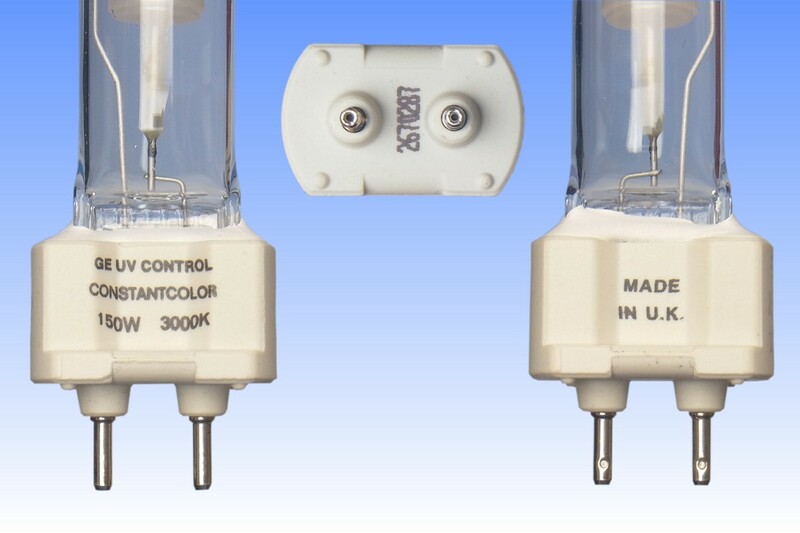 GE superseded it's original CMH lamps with the new 3-piece construction during 1999, and the visible difference in arc tube design combined with claims of increased reliability immediately won the company widespread respect among customers for the superiority of its design - which was consequently rewarded by an increase in its share of the valuable ceramic metal halide business. 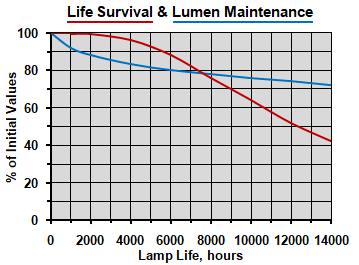 References: 1) GE Lighting Spectrum Lamp Catalogue, 1999/2000, UK. 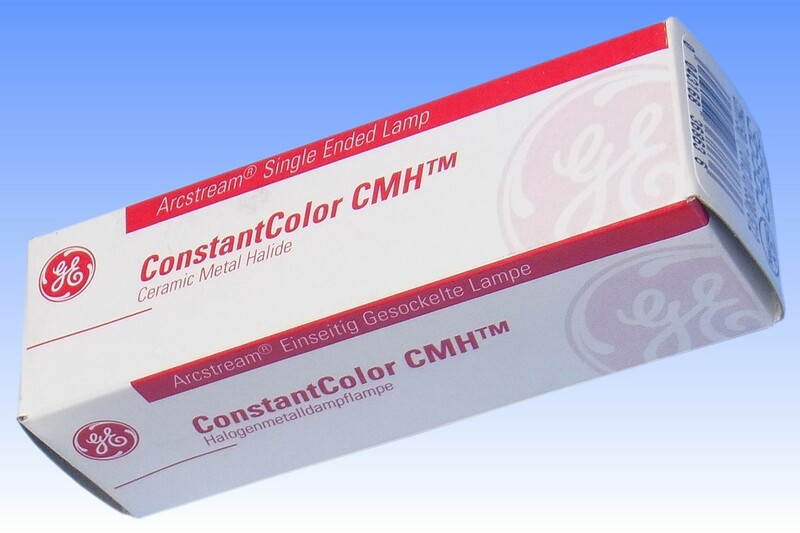 4) GE Lighting OEM Manual, ConstantColor CMH-T Lamps, 2001, EU.